AUSTRALIAN Prime Minister Malcolm Turnbull must be cursing his luck after Channel 7 cameras busted him butchering the lyrics of John Farnham's 'You're The Voice'. Still reeling from his 30th Newspoll defeat, the 63-year-old was caught out with his mouth going in all the wrong directions as Farnham's iconic ditty was blasted around the Gold Coast Aquatic Centre during Australia's golden Tuesday night at the Commonwealth Games. The unofficial Australian anthem was played through the venue's loudspeakers during a break in the Tuesday night schedule where Channel 7's live broadcast cut to the athletics action at Carrara Stadium. They returned to the swimming just in time for the cameras to show Turnbull arm-in-arm with some of Australia's swim team members, including Josh Beaver, as the entire stadium screamed out the classic tune. The entire stadium, except Mr Turnbull that is. The member for Wentworth was all over the place as the crowd belted out the chorus. Almost instantly, Mr Turnbull became a laughing stock for Aussie sports commentators and fans. Some believe the murdering of the so-called real Aussie national anthem is grounds alone for instant dismissal. He also had to endure a torrential downpour at the outdoor venue - forcing him to sport a plastic poncho for part of the evening. Incredibly, Mr Turnbull's unfortunate moment is not even the only time Farnham's classic has been at the centre of drama during the 2018 Gold Coast Games. Closed caption services on Channel 7's Commonwealth Games opening ceremony broadcast also made a bad mistake when "You're The Voice" was played during the teams procession mid-way through last week's opening ceremony. The 2018 Gold Coast Games were opened amid controversy of protests and arrests outside of the Carrara Stadium where three people were charged with public nuisance after an indigenous protest outside the venue turned ugly in a clash with police and security. The trio were arrested at Carrara Stadium after attempting to storm the venue's gates to get into the event. However, the ceremony was dominated by a celebration of indigenous culture on the Gold Coast and included a traditional smoking ceremony performed by contemporary Aboriginal artist Luther Cora and his family. It's what makes the closed caption blunder spotted by many Channel 7 viewers so much worse. The blunder came during the musical cover of Farnham's iconic ditty where the captioning service made a very grave mistake. The pre-chorus was of course supposed to be captioned: "We're all someone's daughter. We're all someone's son". Instead viewers were treated to a caption that read: "We rob someone's daughter. We rob someone's son". Turnbull doesn't know the words to "You're the Voice". 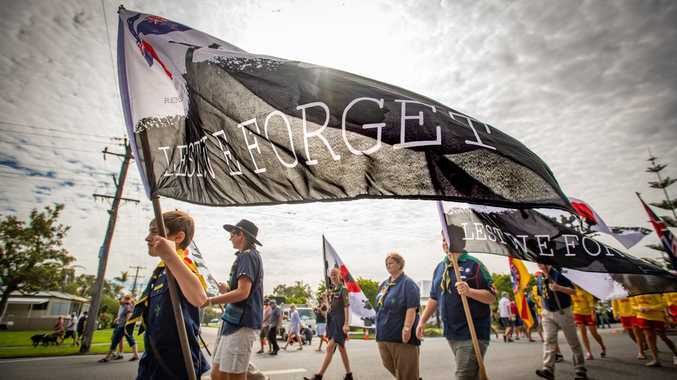 It came after the protest group at Carrara Stadium had earlier presented a giant banner with the phrase "Stolenwealth Games" written across it. Does Malcolm Turnbull really not know the words to “You’re the Voice”? Viewers appear to have found the blunder both hilarious and overly cringe.